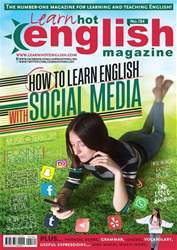 Digital Subscriptions > Learn Hot English > 184 > FAMOUS FAILURES! Look at the names of the famous people at the start of each paragraph in the article. What do you know about them? How do you think they failed in their lives? Make notes. Read the article again. Then, write the name of a person from the article next to each statement. 1. …produced over 800 works of art. 2. …has missed thousands of shots. 3. …was once without a job and any money. 4. …was considered slow by his teachers and parents.